What a great idea to clean up the streets. I only wonder if the same method can also be used for SUVs? Hope it does not discriminate the owners of small white vehicles. 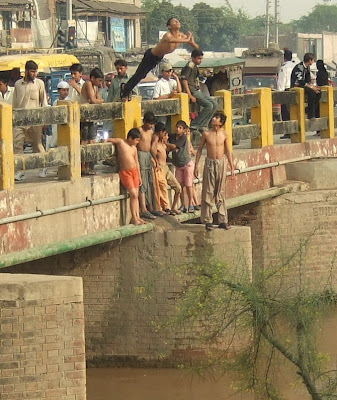 Photo from Lahore, Pakistan in September 2003. Lahore still has many remnants from its British colonial past. Many of the former British officer residences are more than a hundred years old. Most are not in a good shape, but some are. 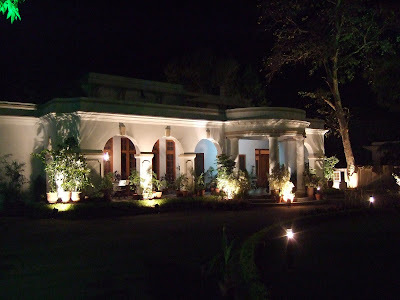 For a few colonial life survived in the city of Lahore. Too bad that such treasures are mostly hidden behind big walls. Photo Lahore, Pakistan in April 2007. 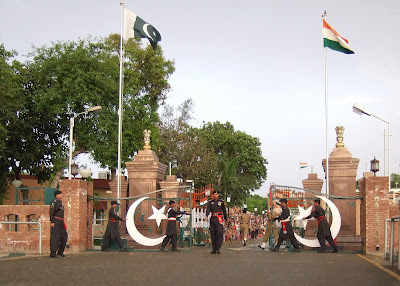 The Pakistan - India border at Wagha (Punjab) is the world's most ridiculous border. It's sheer entertainment and probably one of the few places where you can really laugh about the military. 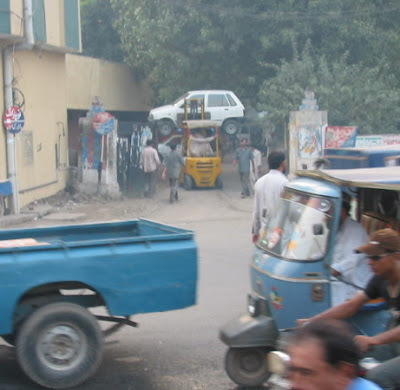 Photo and video from April 2007 at Wagha (Pakistan side, but the Indian side is equally mind-boggling). Seems that our diver is praying to get away from the traffic. Photo from yesterday in Lahore, Pakistan. 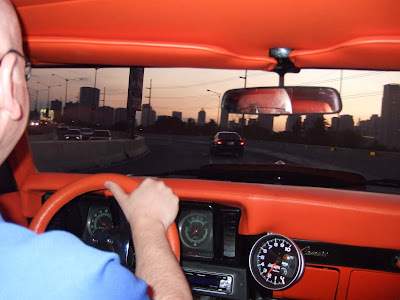 Driving towards Makati, Metro Manila in April 2007 in a 1969 CHEVROLET CAMARO RS (Rallye Sport). For the car freaks: The '69 Camaro was assembled in the Philippines (“Yutivo Camaro” 1 of 900) with a totally modified 350cu V-8 engine which features a 750 CFM Carburator, Aluminum Dual Plane Intake Manifold, Aluminum Cylinder Heads, Flat Pistons, Hydraulic Racing Cam, Aluminum Valve Covers, Serpentine Pulley System and Stainless Steel Headers all resulting in an estimated output of 375 hp. The car has a 4 speed manual transmission with a HURST Shifter and 4.11 Gears. Other goodies include a Rack and Pinion Power Steering system, Front and Rear Sway Bars, a fully functional SHELBY Cobra Style Gas Cap and a Fiberglass Cowl Induction Hood. The entire Interior & Rear Compartment is custom designed with orange and black Vinyl, Paint and Carpets. The car also features RECARO Front Seats, Air Conditioning, an Alarm & Key Less Entry System, a Tachometer with Shift Light and the Racing Steering Wheel is wrapped in Orange Leather. The sound system consists of a PIONEER CD player, 4x100 Watt Infinity Speakers and JL Audio Subwoofer and a 500 Watt FENTON Amplifier. ‘How’s my driving’ is being asked wherever you come across a public transport vehicle in Manila. I wonder why this is being asked everywhere? Secondly, why don’t we see this question on all cars? Are drivers of private vehicles ‘performing’ any better? 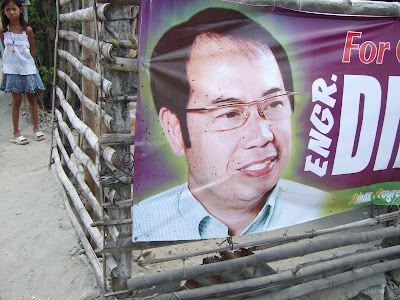 Photo from somewhere in Manila (April 2007). 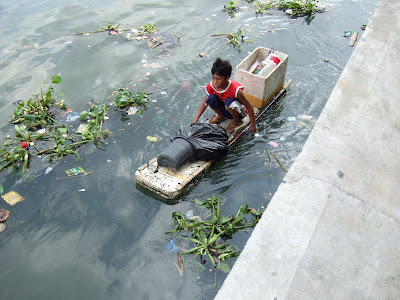 Plastics collector on the Pasig river, Manila in April 2007.
for collecting 1 kilogram of plastics? 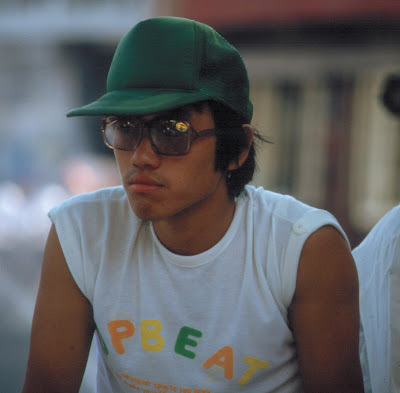 The mid 1980s had been the time of opening up to the outside world in China. The traditional blue or green Mao suit (for Westerners) or Zhongshan suit (中山装 [for our Chinese compatriots) was left in the closet. T-Shirts with western characters 'bloomed' like Mao's 100 flowers (so to say). The very best at that time had been the glasses with brand names. The bigger the brand name (usually in pinyin), the better the look. Photo from Shanghai, China in September 1985. The same blue Danish school bag carried by a German chimneysweep in Lübeck 1982 (pictured on Mistareynolds' website [see pictures and stories and go to page 5]) made it to Manila in April 2007. 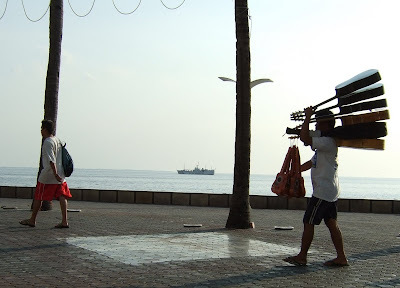 Photo taken along Roxas Boulevard, Manila in April 2007. Many thanks for the good QUALLI wishes. 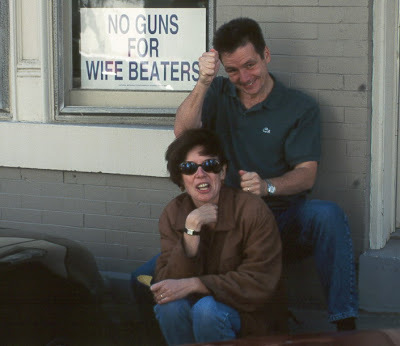 Anyway, the basic rule remains 'no guns for wife beaters' as observed in Washington, D.C. in September 1997. Time dances by and memories grow. 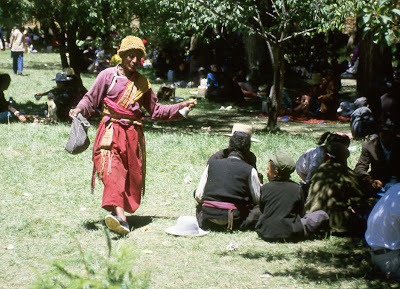 Photo of a Tibetan storyteller and bard who entertained us in July 1986 in Lhasa, Tibet. Too hot for the blonds! 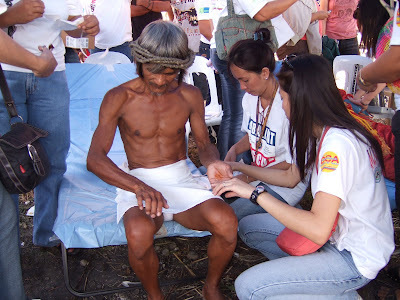 Photo from Biga, Batangas in April 2007. 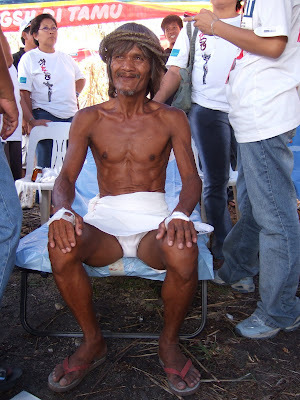 Photo from Northen Metro Manila in April 2007. What to eat on Easter Sunday? If you are tired of dyed eggs for Easter Sunday you might want to try a dish from the animal where the eggs come from. 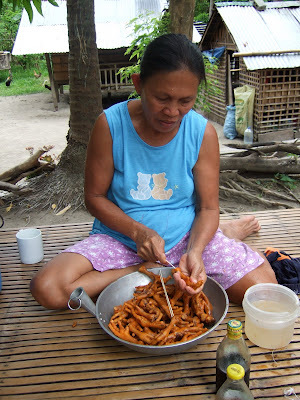 Why not to try a chicken feet recipe? Yes, there is a connection between McDonalds and the upcoming elections in the Philippines! It seems burgers and voting are bloody businesses as seen on the two pictures taken on Good Friday 2007 in San Pedro Cutud. 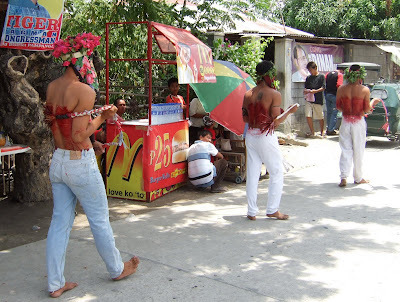 The picture above is showing the penitents spreading their blood over the McDonalds store; the second picture is showing a candidat for the upcoming elections in the Philippines. On the second picture it is quite easy to spot the blood from the penitents on the election poster. You might want to blow up the McDonalds store or you better believe me that their burgers and water were looking no different than the election poster. 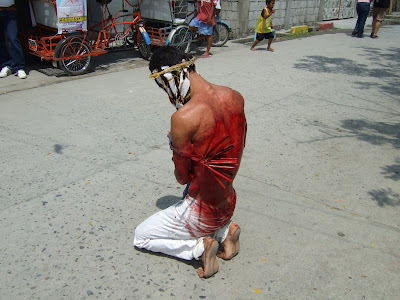 Every year on Good Friday the streets of San Pedro Cutud (a barangay of <?xml:namespace prefix = st1 />San Fernando, Pampanga) are filled with penitents who exercise self-flagellation. I have no idea if the sins are being washed away but I learnt that it is not good to stay too close to this bloody event. 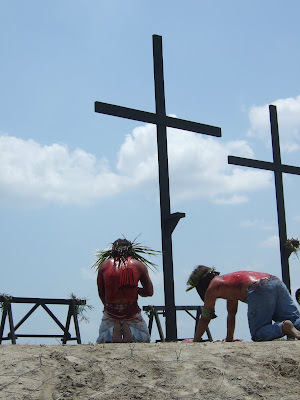 San Pedro Cutud is also the place where other penitents are being crucified. Such crucifixion is done with real nails and the result is real blood. Once the penitents feel cleansed of their sins, they are taken down. 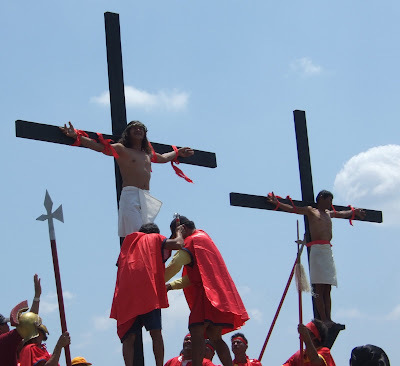 Actually, nobody wants them to hang too long on the crosses since usually a dozen penitents are waiting for their turn. The picture above is showing how Jesus is being nailed. This Jesus (above) is watching his wounds. Now Jesus is a happy Jesus (picture above). This nailed Jesus (above) is still working on his sins. The video above is showing how the nails were taken out of Jesus. All photos from today, Good Friday, 6 April 2007. Why is this car driving with lights on? 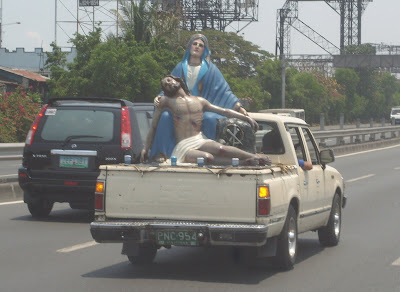 Photo from April 2007 of a dead Jesus driving with Mary somewhere in Batangas, Philippines. Why such a sign? We all know that the Pasig river is often understood as the extention of Payatas. 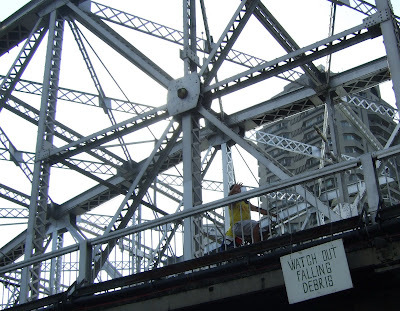 Anyway, you better watch out while passing under this particular Pasig river bridge close to Escolta. 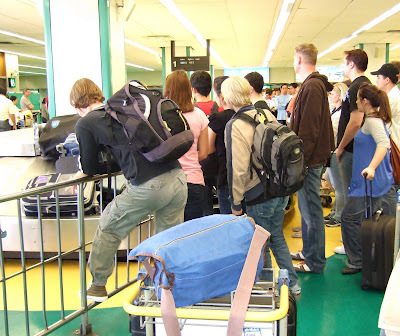 Photo from March 2007, Manila, Metro Manila. Good news for Good Friday!!! Jesus will be delivered in time. Jesus is already crucified as you can see on both photos. 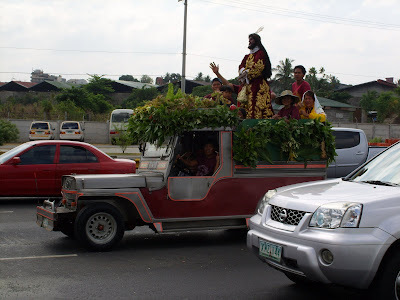 You just have to get him and the cross out of the jeepney! It will be a 'simple play' as written on the T-shirt (see photo above). Photos from yesterday in Makati, Metro Manila. 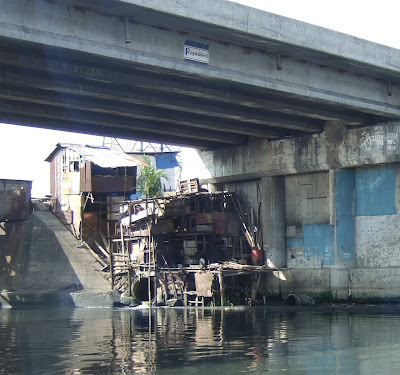 Living under one the Pasig river bridges. 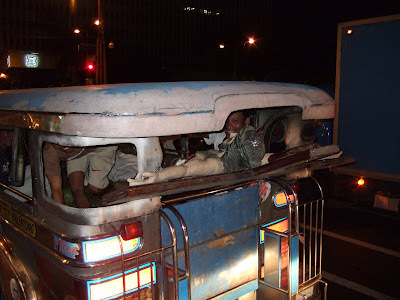 Photo from March 2007 in Manila, Metro Manila.